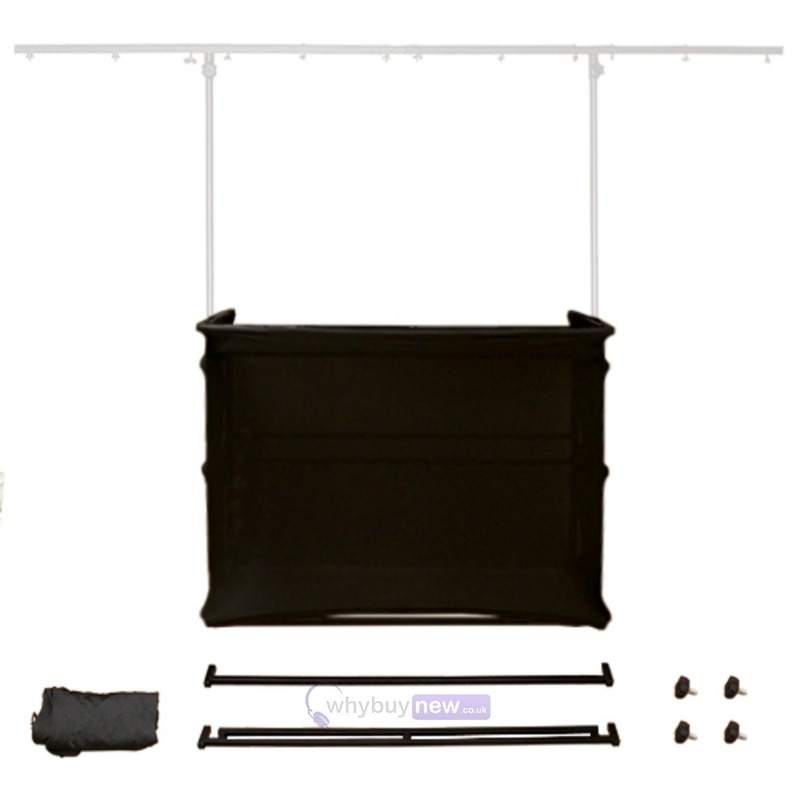 This great looking complete black cloth scrim kit fits the best selling Gorilla GDS-4 and GDS-5 4ft disco stands to give a professional look to your rig. 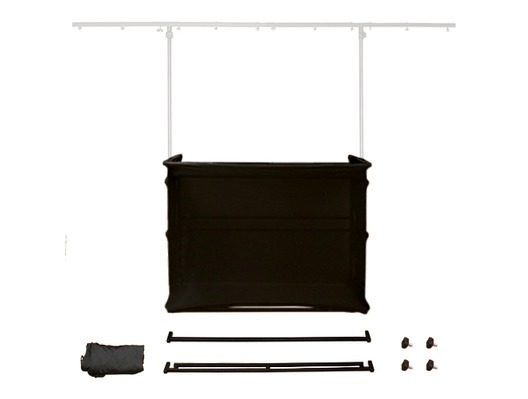 This kit comprises of two metal bars that fit to the top and bottom at the front of the stand, the black scrim cloth and all screw fixings. The top bar is a double bar design allowing you to fit any brand of laptop stand (such as the Gorilla GLS-02) that includes the two table/desk clamps. This kit is very quick to install by simply removing the four plastic 'end caps' from your stand and makes your 4ft disco stand look like a full-on 'DJ Booth'. 2x Metal cross bars that slot into the front of the 'end frames by removing plastic end caps. The larger cross bar goes at the top to also allow you to fit a laptop stand (Gorilla GLS-02) which includes table clamps. 4x Thumb tightening screws that screw into the sides of the GDS-4 or GDS-5 stand (these stands already include threads and can be seen from the top front/side of the end frames) to make the cross bars sturdy and rigid. This kit has a lifetime Gorilla warranty with covers all parts except for the lycra cloth which can be purchased as a spare part if you ever need a replacement in the future. 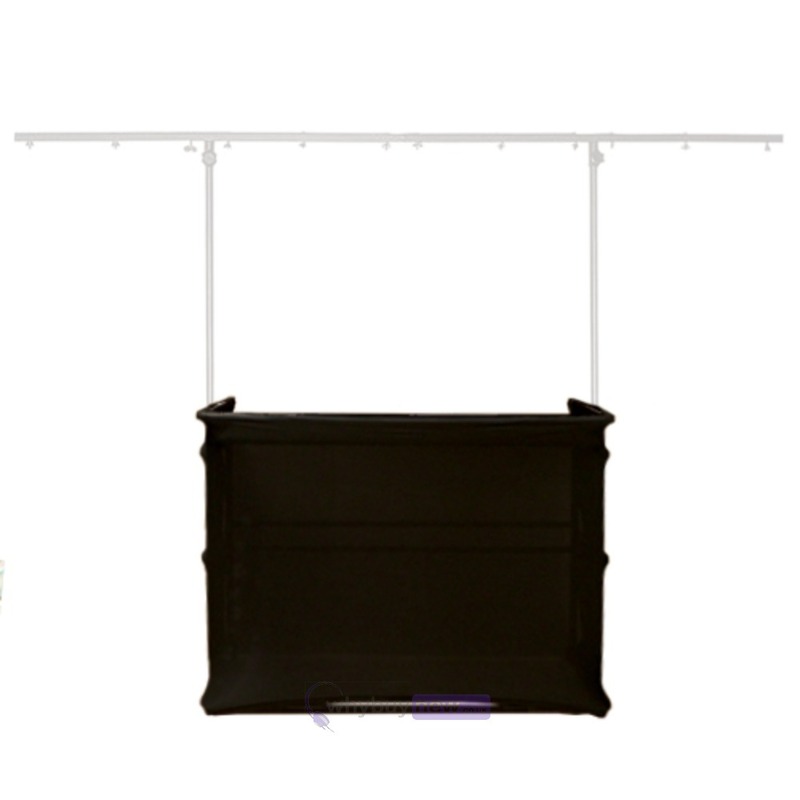 Please Note: This listing is for the complete scrim kit (disco stand not included) and will only fit the Gorilla models GDS-4 and GDS-5 disco stands. A very good addition to my gorilla stand. Looks great and fits perfectly, highly recommended.